Global Intellect Service — it-компания для бизнеса! UDS — THE BEST MOBILE App FOR YOUR BUSINESS! UDS-ЛУЧШЕЕ МОБИЛЬНОЕ ПРИЛОЖЕНИЕ ДЛЯ ВАШЕГО БИЗНЕСА! GIS: ПАРТНЕРСКАЯ ПРОГРАММА ДЛЯ АМБИЦИОЗНЫХ! 1 WHAT IS UDS APP? 1.3 STEP-BY-STEP IMPLEMENTATION UDS APP UDS ADMIN SETTINGS. 17 TRY IT JUST NOW! — digitize the recommendations process, i.e. you can see customers who have recommended your company. UDS App is neither an advertising platform, nor a traffic generator, i.e. do not post the information about your company in UDS just to expect a new customer flow. 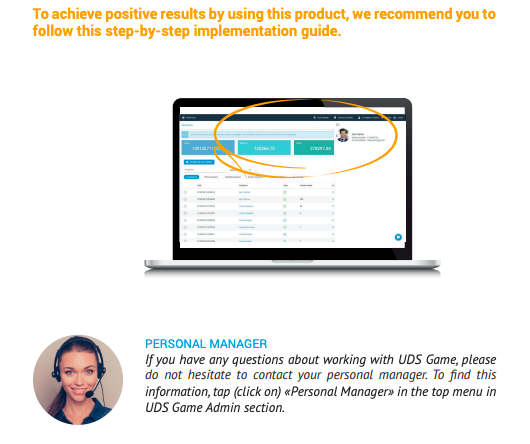 UDS App does not guarantee an increase in customer base and in turnover, since in most cases this depends on the work performance of employees, as well as on the work with the loyalty system. UDS App does not guarantee the recommendations process, but contributes to it and allows you to digitize recommendations. UDS App is a tool that you need to implement and you should also do your best to make this program work efficiently for your business (personnel training, monitoring the employee work performance with a loyalty system, publishing content to a mobile application, etc.). First of all, it is necessary to set up UDS App Admin (console entrepreneur, login at udsgame.com/login). user, after seeing the detailed description of the company, would like to use your services or purchase your product. 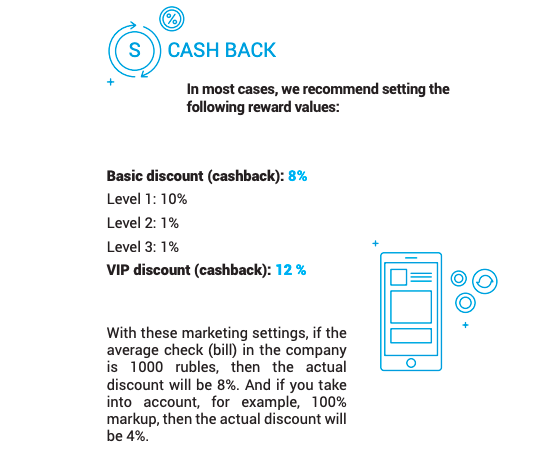 When setting up marketing, it is necessary to determine whether to apply a basic discount, or to replace it with reward points (cashback), i.e. the customer would not receive a basic discount at UDS App, but after the payment made to UDS would receive points in the amount of the specified discount. 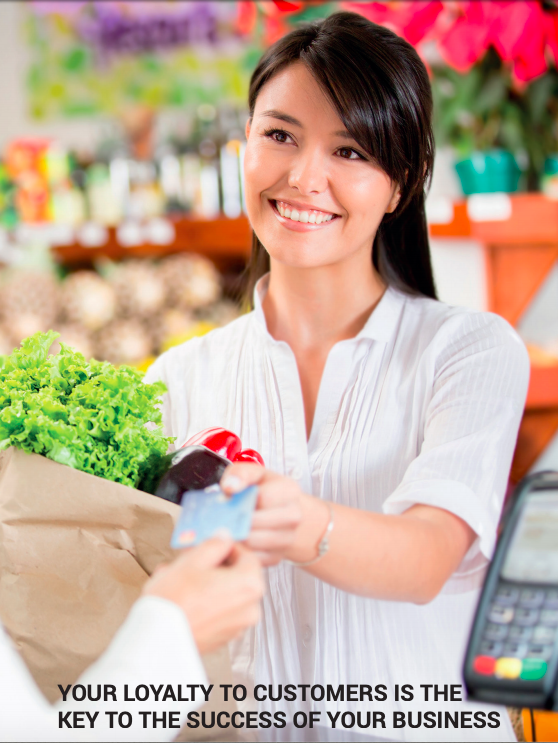 Generally, you need to set up cashback, as accumulated points motivate customers to return again. But for the companies with low product demand, where it wouldn’t be possible to immediately use points for related products, it is better to apply a basic discount. will be 3-4 times lower. We recommend that the owner would personally monitor the work with UDS App. This paragraph is required if you personally (the owner) are not ready to work with UDS App and plan to delegate this process. It is necessary to identify the person responsible for working with UDS Admin, whose tasks will include the following: publishing promotions, working with feedback, monitoring the personnel work activity with UDS, tracking customer statistics. If you use a strict cash accounting system, it is recommended to integrate UDS with this system. There are ready-made integration modules available for the following cash accounting systems: iiko, R-keeper, Tillypad, SmartTouch and examples of integration with 1C, Traktir and others systems are also available, just tap Materials in the UDS Admin. These files must be sent to technical specialists, who provide technical support to your company for the implementation of integration. If you use a cash accounting system that doesn’t have ready-made integration module, then please send the general documentation on integration (you’ll find it here udsgame.com/api-docs) to the technical specialists of this system for the implementation of integration. If you have an ordinary cash desk, integration is not required. During the calculation, the UDS Cashier (blue bird logo) mobile application or the WEB version of the Cashier //c.udsgame.com will be used, the link can be opened on a PC or a Tablet browser. The integration with the cash accounting system should be implemented only by the specialists of the company maintaining this system. One of the most important paragraphs! For the effective operation of the loyalty system, it must be implemented as an obligatory process of the company’s functioning. Thus, the duty to work with the UDS loyalty system should be included in a job description, and if not implemented appropriate measures should be taken. We recommend setting up daily plans for payments made through UDS App (hold at least 20% of customers via UDS) and evaluating the work performance of each employee in UDS Admin.